Sometimes you just want something sweet. And when the craving hits me, there's usually one place I want to go to: Kona Coffee Purveyors. Yes, I realize the name of the place I'm reviewing is Kona Coffee Purveyors, which means, logically, it's a coffee shop. And, yes, it is a coffee shop, a fantastic one at that. But, Kona Coffee Purveyors is also home to the Hawaii outpost of the phenomenal San Francisco-based bakery B. Patisserie. 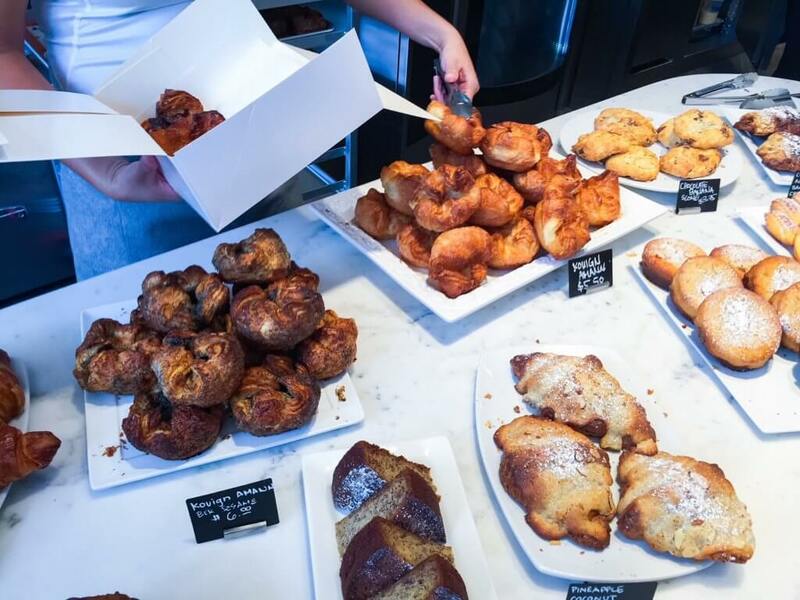 Known for their buttery, flaky Kouign Amanns, it is my favorite place to grab a sweet treat. Kona Coffee Purveyors is located on the ground floor of the International Market Place in Waikiki. It is on the mauka (towards the mountain) end of the mall fronting Kuhio Avenue. It's easy to miss but is absolutely someplace you should not miss. This is especially true if you drove to the International Market Place, as this is a great place to get a treat and your parking validation. As you'd imagine, Kona Coffee Purveyors features coffee on its menu. And though I'm not a coffee drinker, I do like the mocha here. Made with dark Valharona chocolate, it's really well balanced. Aside from coffee, Kona Coffee Purveyors does also offer a variety of teas and crafted drinks. I typically don't drink anything here, but Mrs. Island Miler's favorite is the Liam's Punch. Composed of cold-pressed pineapple-grapefruit juice with passion puree and bitters, this isn't a child's drink. The punch is actually on the bitter side thanks to the grapefruit and bitters. 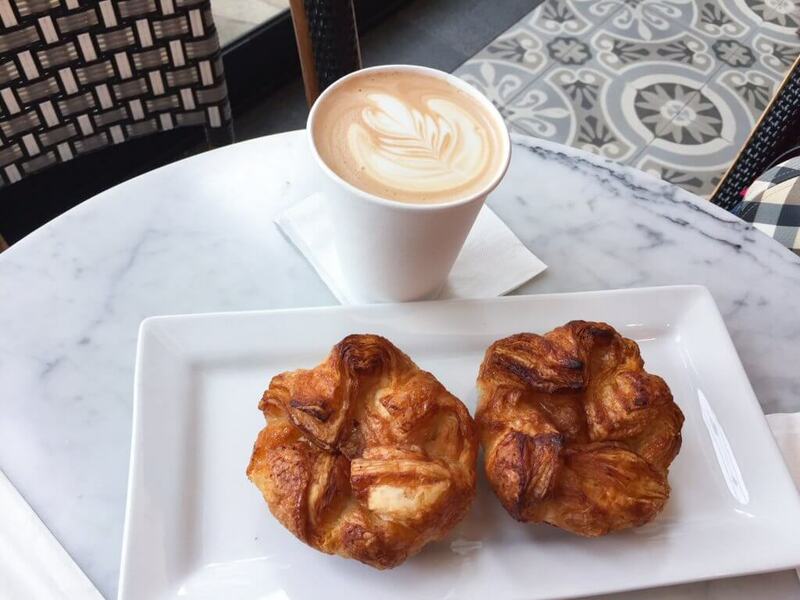 As I've said before, the Kouign Amanns are the thing to get here. Incredibly flaky, crunchy, chewy, buttery, sweet, and a little salty, these things are heaven. And, yes, they really are better than the others you'll find locally. 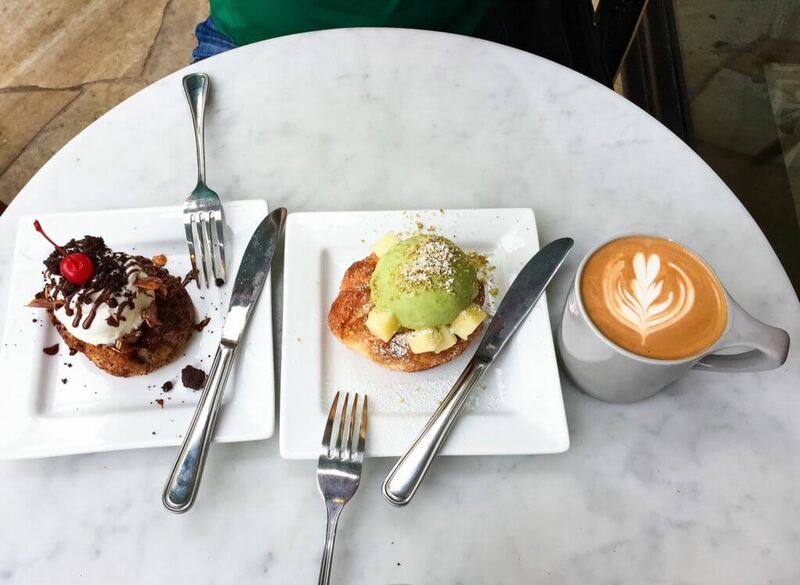 Oh, and unlike the flagship location, the Hawaii one has black sesame Kouign Amanns year round, in addition to plain and a seasonal flavor. During Restaurant Week Hawaii they even offer a sundae version of their iconic pastry. But as good as the Kouign Amanns are, my favorite item at Kona Coffee Purveyors is the chocolate chip cookie. Unfortunately, I don't have a picture, but their cookies are filled with melty bitter-sweet chocolate, have a nice chew to them, a hint of vanilla, and a slight saltiness. And, of course, I don't have a picture of their cookies. 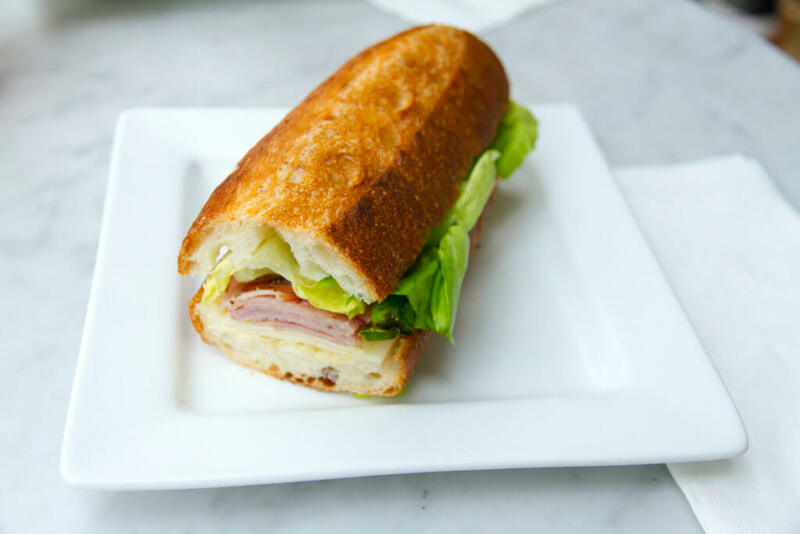 Sandwiches are also available during lunch hours, and they're quite good. Whenever I'm craving something sweet to eat, Kona Coffee Purveyor is often the answer for me. And that almost always means getting one of their chocolate chip cookies. Heck, sometimes I'll drive over there just for a cookie! But, just remember, your Chase Sapphire cards will not earn bonus points here. However, your Marriott Rewards card will earn double points at Kona Coffee Purveyors. Pro tip: if you want to ensure they'll have what you want, you can always call in your order ahead of time.